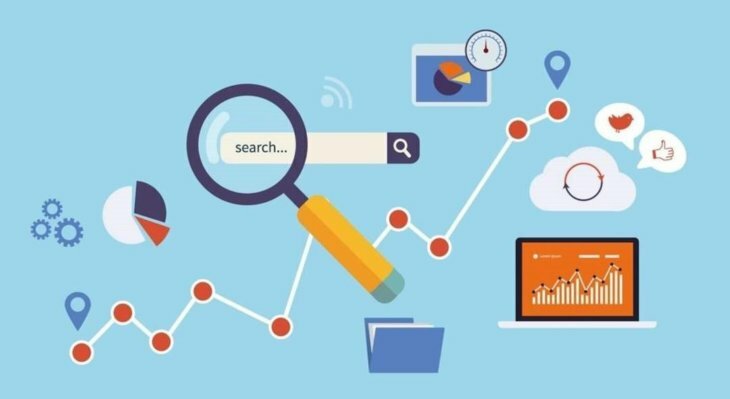 The task of keeping up with Google’s constantly-evolving search ranking algorithm is what keeps skilled SEO specialists in high demand, and Content Marketing managers on their toes. 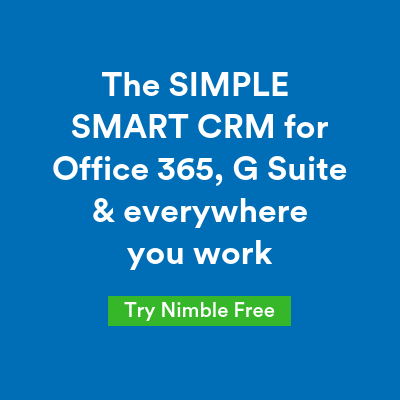 Every year brings a new slew of updates, and it’s up to content marketing or social media specialists to sift through the fallout and devise ways to play by the new rules and maintain their search engine results. In some cases, these updates are relatively predictable. Other times, they catch us completely off guard as we come into work with a slew of urgent messages from frantic clients. 2018 was no exception. In this infographic, we highlight some of the biggest updates made to Google’s search ranking algorithm and what they all mean. Google rarely makes formal announcements about algorithm changes that can affect your online presence. 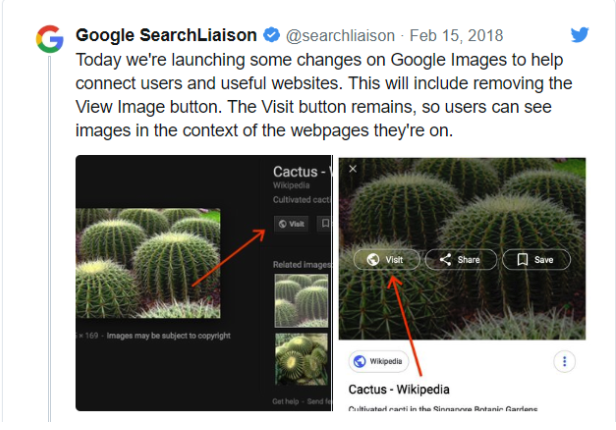 However, on February 15th 2018, they changed the way image search functions by removing both the “View Image” and the “Search by image” buttons. While the reasoning behind these changes is unknown, many believe it was the result of a legal complaint by Getty Images. For the most part, this update was met with applause from web publishers and benefitted webmaster guidelines as it encouraged more traffic. Users, on the other hand, we’re not overly thrilled with the changes. The purpose of the “Brackets” Core update is to get more compelling and shareable content on the web. Websites saw both jumps and drops in rankings in search queries based on the pieces of content they produced. Google has always placed an emphasis on quality content; however, some experts believe the true meaning of the update is more about relevancy. There are many different ways to play by the rules here. Most importantly, you need to put effort into creating content and blog posts that focus on user intent. Moreover, it should offer unique value that can’t be found on other web pages. According to search analyst Danny Sullivan, this update is limited to a handful of queries. For the most part, the Zero Result will only provide answers related to calculators, dates, unit conversions, etc. The Mobile-First Index update was definitely one of the bigger algorithm changes to occur in 2018. Most experts saw this coming as early as 2015, when Google confirmed that mobile searches officially outnumbered desktop searches. As the name implies, Google is now indexing the mobile version on websites before the desktop. Webmasters are highly encouraged to focus on the mobile versions of their platforms and creating content that is smartphone/tablet-friendly. As the web becomes more and more mobile-oriented, webmasters need to keep up with the changes. This is believed to be the primary reasoning behind the Snippet Length Drop. 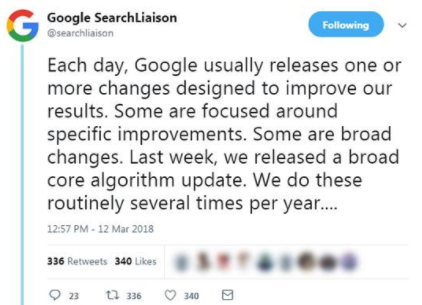 The weird part about this update was that Google confirmed they shortened snippet lengths only five months after they increased them. On desktop, the average number of characters on a snippet field went from around 300 down to 160. On mobile, search results snippets are now down to around 130 characters. Keep in mind, Google has advised not to focus too much of your efforts on these snippets, as many are chosen to do their dynamic nature and not always pulled from your Meta Descriptions. Unless you’ve been living under a rock for the past few years, it’s become very clear that video content is both the present and the future of the internet. 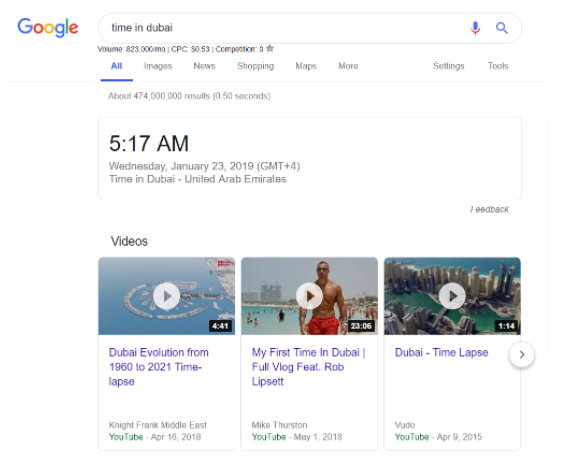 In the summer of 2018, Google began replacing the video thumbnails in the desktop search results with video boxes arranged in a carousel format. This update allows searchers to browse through video content without having to open YouTube or other video sharing sites. These video carousels are typically triggered by how to, top 10, or best __ queries. Another update that came as a little shock, the Mobile Speed Update was officially announced by Google stating that page speed will now be a primary ranking factor in mobile searches. This has been a reality for desktop pages for years. This “broad core algorithm update” was primarily felt by Your Money Your Life industries (health, wellness, law, finance, etc.) The purpose of this change is to make sure that users were provided with the most credible and accurate information based on their search. For instance, an article written about the keto diet or how to invest in hedge funds by a source with no proven expertise could be potentially dangerous for readers. For YMYL organizations to rank well on the SERPs, they need to place a strong focus on E-A-T Score (Expertise, Authority, Trustworthiness). To learn more about this major algorithm change, we interviewed Dr. Pete Meyers from Moz in this podcast titled: SEO 2019: Content, Data, and Algorithms. 2018 was an interesting year for SEO; we can certainly expect 2019 to have a handful of big surprises in store. As you continue to shape your search tactics for the year, keep these eight noteworthy algorithm updates in mind! 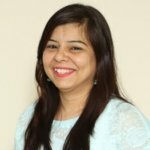 Mansi Dhorda works at E2M Solutions Inc. (https://www.e2msolutions.com/) - a Digital Marketing Agency. She is well-versed in all things Content Marketing and Branding. During her free time, she runs her Instagram page for handmade accessories (https://www.instagram.com/elysianartstudio/). Feel free to hit her up anytime on her Twitter handle: @mansidhorda.